A JR train stopped at Harajuku station. The theme of Part 2 is "Transport". I love being in Tokyo to observe the way the city moves. Tokyo is absolutely massive with a density of people and buildings that is unparalleled. The city's unique challenges inevitably resulted in a fascinating car culture and impressive railway system. The visual artifacts are very different, almost opposite from America, making it fascinating for an outsider like myself to visit. The NEX - an express line connecting Tokyo with Narita Airport. The subways of Tokyo use RFID transit cards called "Suica". The ride quality of many subway lines aren't impressive. The trains are well aesthetically well proportioned though. A super compact bus spotted at Kichijōji. A Hachiko varient found at Shibuya. Police/fire vehicles receive unique badging. I love the simple, quiet approach to graphics. A firetruck spotted in Ginza. A police bicycle with motor assist. Notice the Panasonic logo. 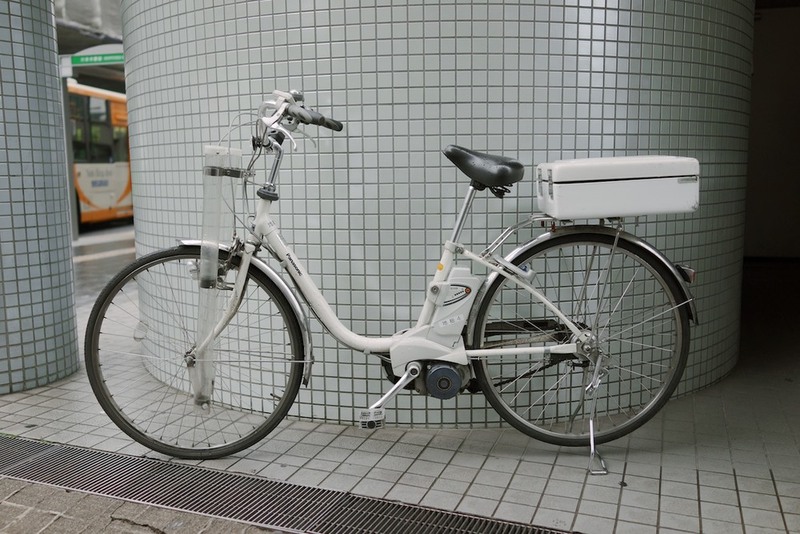 A folding bike. Otousan is the mascot for the Japanese cellular company, Softbank. These bikes seem to be quite popular. Spotted in Roppongi. 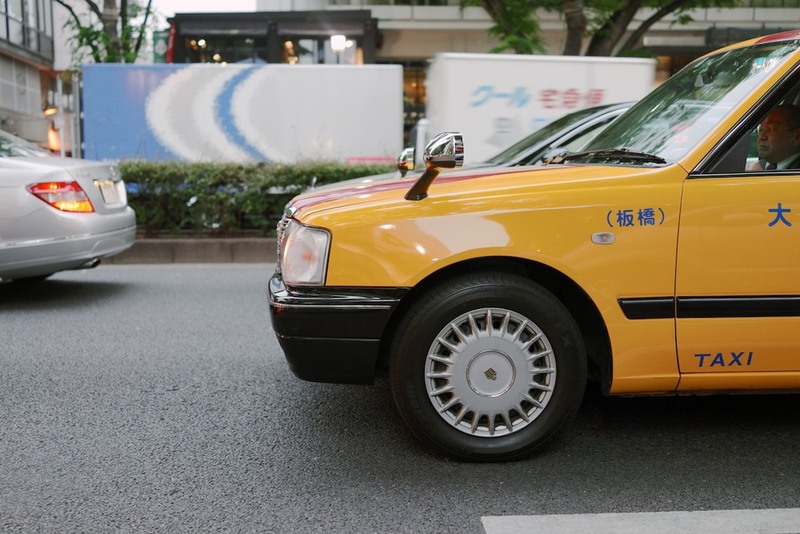 Most Japanese taxis are Toyota Crowns. Other than the NYC cabs, nothing is more iconic than these. I love the fender mounted mirrors. Everything is smaller in Japan, including garbage trucks. The Nissan Gallery at their headquarters in Yokohama. Every car is unlocked allowing a hands-on experience. The best part of the gallery is the opportunity to experience cars that can't be found back home. I've always found these massive/luxury Japanese vans fascinating. Fun to see them in person. A hall presenting the company's history. Lots of employees seem to hang out at the Starbucks located at the Gallery. The entire showroom is very well run. Recommended for any car enthusiast. As an appreciator of kei cars, the Moco was the highlight of my visit. A "kei car" is a class of light vehicles restricted in size by government regulations. Tiny wheels and non-existent overhangs. 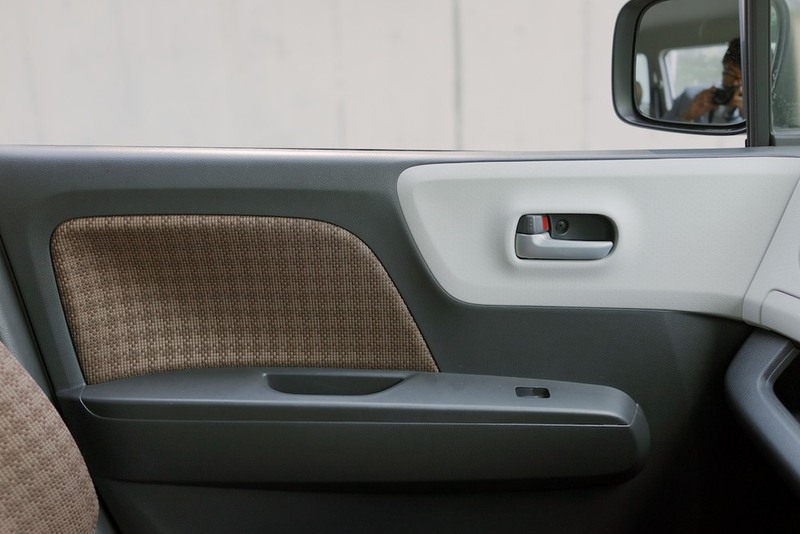 Most kei cars have very budget interiors. This one is actually not bad. 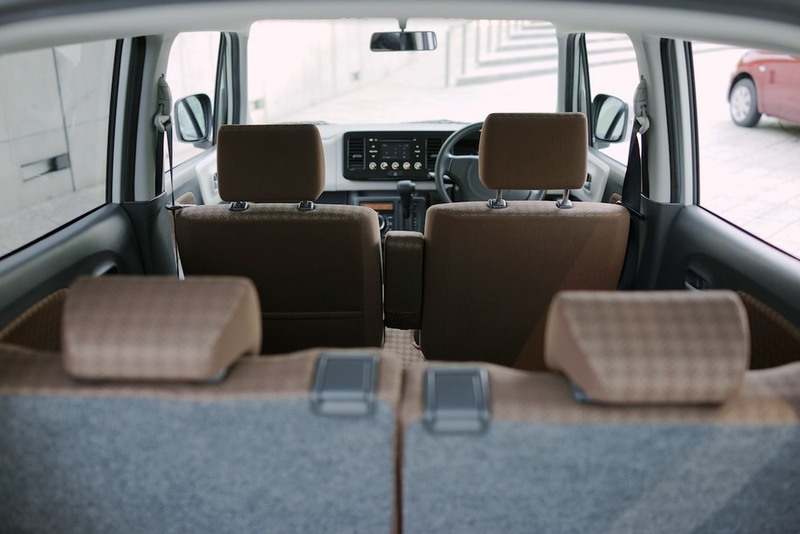 Like most kei cars, the interior is massive compared to the exterior. The white panels help elevate the visual quality of the cabin. The touch buttons on the radio are actually quite usable. Thankfully, the climate controls are hard buttons. There's probably more storage than some American sedans. There's also a Nissan Gallery located in Ginza, though this one is only big enough to hold two vehicles. I don't know why we've stopped using carpeted doors - much better than scuffed plastic panels. Though I don't find the GTR visually attractive, it really does have an aura and presence. I like the simple and functional approach to Japanese license plates. Notice how kei cars have differentiated yellow license plates. Honda N BOX Custom shown. Kei vehicles for commercial use receive inverted colors. Honda N BOX shown. Seeing kei cars in their natural environment helps you see why they make so much sense. The Suzuki Every Wagon - one of, if not the best selling kei vehicles. A Subaru Sambar modified into a VW Type 2 imitation. I've been told that there'a a company that makes kits for this conversion. The Japanese double garage. Spotted in Kichijōji. Japan seems to import all the European brands we don't get in America. Spotted this Citroën C6 in Harajuku. Alfa Romeos seem to be quite common. Euro spec Civic spotted in Kichijōji. An unusual car called the Cypha sold briefly under a Toyota sub-brand called WiLL. Love the yellow seat belts. A Porsche GT3 in Shinjuku. A Mercedes-Benz G-Class in Harajuku. 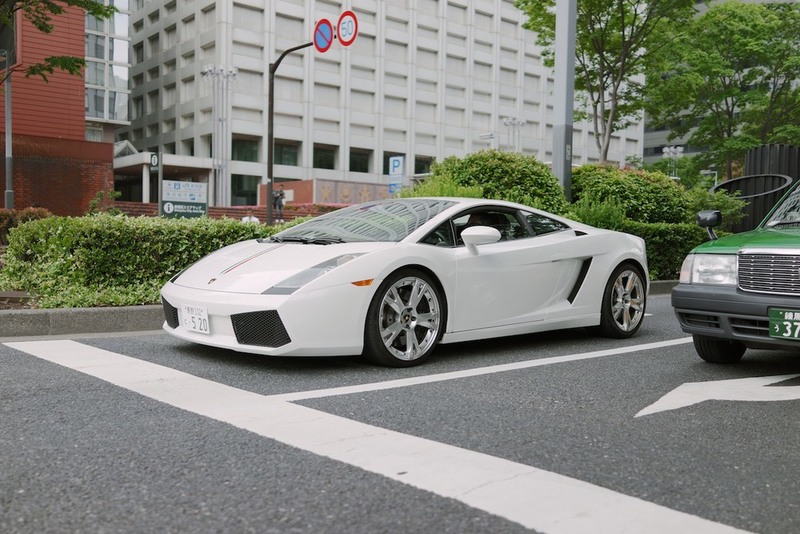 A Gallardo spotted in Shinjuku. A Rolls-Royce Silver Spirit. Navigating this thing in Tokyo must be a nightmare. Mitsuoka is a coachbuilder that modifies modern Nissan/Honda/Toyota vehicles into strange retro versions like this, the Viewt. The Daihatsu Mira Gino was clearly inspired by the Mini. Was sold from 1999-2004. The van/wagon market is quite diverse in Japan. The Toyota Estima is one of the more popular models. 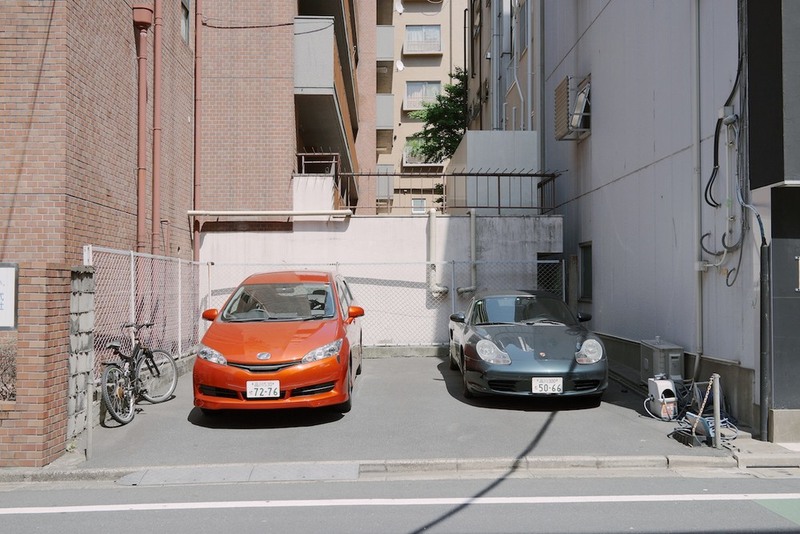 The Toyota Wish parked next to a Porsche Boxster.